North West law firm, Bermans, who have offices in Liverpool and Manchester, have recently appointed two new recruits in their litigation and corporate departments. 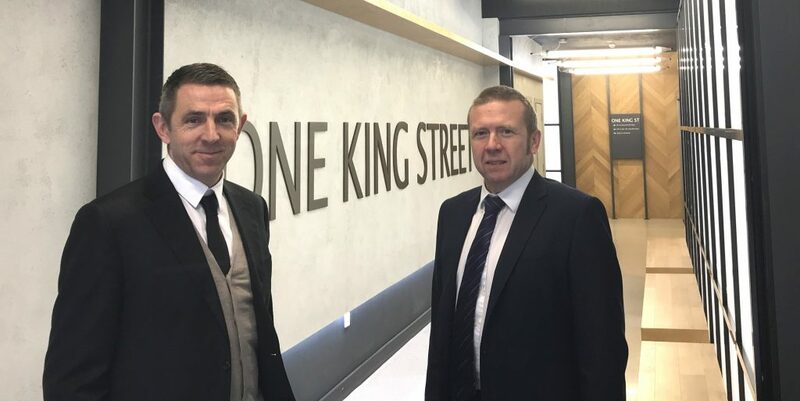 The business recently relocated its Manchester office to One King Street and continues to add value to its offering with its recent additions. The first of the new recruits, solicitor Gareth Farrelly, joined the litigation team in March 2018. Gareth is a former Irish International professional footballer having played at Premier League level for Everton, Aston Villa and Bolton Wanderers. He joined Bermans after spending time as a commercial litigation lawyer in London and has accrued a wealth of experience in a wide range of white-collar crime matters including SFO investigations and corporate compliance, complex high value tax fraud litigation and associated negligence actions as well as claims for restitution relating to mis-sold financial products. Building on his extensive practical experience in the sporting industry he has joined Bermans to develop a specialist sports law department, building on the existing links the firm has. Bermans already act for a number of Premiership footballers through its links with the Stellar Group. Gareth is an Independent Football Panel Member of the Football Association’s Judicial Panel and sits on both the Chairman’s and Football Panel. He has recently been appointed to the Sports Resolutions` Panel of Arbitrators and Mediators. Stephen Jarman, the second of the firm’s new hires, joined the corporate team as a partner in April 2018, having previously worked at a number of North West law firms following his return to the region from London. Stephen has 25 years’ experience of advising regional and national clients, ranging from sole traders to large listed companies and institutions in many different fields including clients involved in leading edge technology, precision/large scale engineering, and recruitment and private equity. His expertise includes a wide range of corporate and commercial areas including company formations, acquisitions, mergers and takeovers, disposals, MBO/MBIs, restructuring, private equity (from the point of investor and investee), software licensing and hosting agreements, agency and distribution agreements, as well as general commercial contracts and advice. Nick Harvey, partner and head of litigation commented “We are delighted to welcome both Gareth and Stephen on board and believe their experience and knowledge will bring many benefits to the firm and our clients.